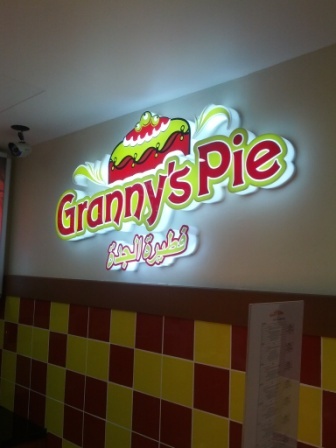 Granny's Pie is a new outlet at the Muscat Grand Mall, but they also have their first outlet down in Qurum at the new Ice Rink which opened a few months ago. It seems that they have learned from opening their first branch, and their MGM offering is well setup and supplied, with the exception that their soda fountain machine does not appear to work. However this is being covered by cans being offered in it's place for the time being. Granny's Pie has a daily menu which is posted and does change every day. The day I tried it out there was a selection of dishes available, but went for the meatballs & mashed potato meal... which was served with some sort of tomato based sauce, and what I suspect was sauerkraut. I also ordered a Winter Salad, and a bottle of water to go along with it. It was far too much food and I didn't finish the meatballs and mashed potato dish, but it was really delicious, and was all ready inside of 2 minutes from me ordering. The price came to RO 4.800 for everything, but if I didn't order the salad, it would have come to RO 3.200. 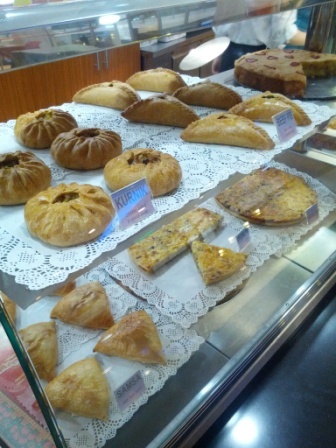 In addition to the daily menu, there are of course the name-sake available as well, pies. 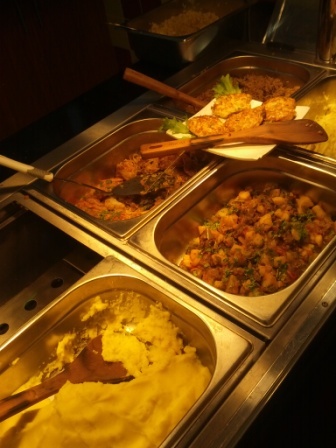 I have tried a chicken & potato Kurnik (pictured below on top left of picture) on another occasion and it was really really tasty. It cost me RO 1.700 and was quite filling. All in all I'd say it is a good addition to the fast growing food-court at the Muscat Grand Mall, and I'd consider eating there again. I certainly enjoyed the taste of the food over your usual deep fried fast food offerings usually found in food courts. I heard that there is a Russian restaurant in Muscat, so I asked in one of the hotels. The lovely receptionist said that there is a joint at MGM food court, but if I am looking for a taste of Russian Cuisine, I will be disappointed - and I was. Pilaw, seriously? Granny's Pie sounds like a euphemism. I didn't like this place at all. Confusing menu. Tasteless pies. Didn't do it for me. I don't think those guys knew how to run a food outlet. Wish them all the best though. 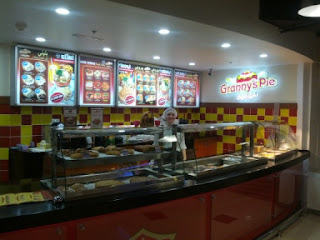 Their pies look delicious but when I've been at either outlet, there is only a limited selection. Disappointing.